Too smart for AA? Here's why it's important to have an open mind in early recovery. There is an expression in AA that we've never met anyone too dumb to get this program but we have met people too smart to get it. Being highly intelligent and possessing keen critical thinking skills were a hindrance when it came to getting sober, staying sober, and changing his life. Despite being a celebrated attorney, the best asset in Pluymen’s early recovery was his sponsor – a janitor with a 4th grade education. This is one of the most amazing things about AA – it brings together people from every walk of life. AA creates a space where we find mentors, supports and friends. Often in the seemingly most unlikely pairings and groupings, folks find their way to a better life. All it takes to be a member of AA is an earnest desire to stop drinking. All it takes to start making progress is an open mind and willingness to change. My way doesn’t work. My thinking brought me to where I am today. My best ideas didn’t help me avoid the destruction of addiction. My lifestyle, my friends, my family, my choices were not enough to keep me from losing control. I want my life back. I want to feel like I’m in control. For a long time I tried to get back to where I was before I lost it. Now I see that going back isn’t an option. I get the same result every time. I have to change. I’ve been resistant to change because it scares me. Woody Allen said, “eighty percent of success is showing up.” If we’re willing to take up a seat and listen, we will hear from people like us who had problems like ours and found solutions. We’ll meet folks who are willing to encourage and support us in one of the hardest things a human being can do – recover from addiction. Hearing what people have to say in a meeting may well leave you skeptical at first, so use the buffet approach – take what you like and leave the rest. You’ll hear some things that are hard to believe. Folks may speak of “having a life second to none.” Or they’ll say, “I wouldn’t trade my worst day sober for my best day drinking.” You’ll wonder how anyone could claim such things, but they’re true. The most incredible of all is to hear someone describe themselves as a “grateful alcoholic.” You’ll wonder why anyone could possibly be happy about being an alcoholic? The simple truth is that if not for the need for recovery from addiction, our lives would not have changed all that much. Most people do not make huge positive changes in how they live their lives. People in recovery do. You will hear people conceptualize their addiction as a part of themselves that is trying to kill them. They will personify it and describe what it tells them. On the surface this may look like a cop-out. It’s not. To personify it is to begin creating distance between something that is a part of us and our true selves. This is a big part of how we become free. You will likely find it discouraging to hear people share how long it took them to get sober, change their lives, and develop the habits and routines that sustain them. Keep in mind that the only finish-line is death. Recovery is not about getting all better. It’s about getting better, twenty four hours at a time. Everything is a process and it may seem mystifying to hear people talk more about how their Higher Power directed them than what the actual steps were. The good news is that people working on their recovery love to share what they’ve learned and will gladly teach you. All you have to do is muster the courage to ask. 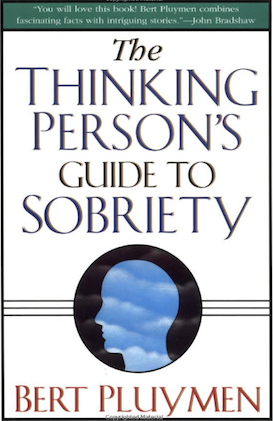 One of the most beautiful pieces in all of AA’s literature are the promises of recovery from alcoholism. They may indeed sound extravagant and yet they are attainable to all of us, no matter how far down our disease has taken us. If we are cynical or jaded we will find it difficult to have hope for such things. Yet without hope we are adrift. It’s normal to doubt. All of us did and many of us still do. Having an open mind means being receptive to learning, growing, and healing. It creates opportunities. If we’re rigorously honest with ourselves we find that we had little or nothing to lose and everything to gain. You can have what we have and if you’d like to help us, let us help you. The only way we can keep it is to give it away.